With almost 40 years in the industry, Harbert Roofing has become a household name in Northern California. We’re proud to partner with local businesses, support causes that matter, and lend a hand in the upward progress of our community. We’re a company that values the art of a handwritten letter, and loves showing up in the local newspaper every now and then. Read some of our favorites below, and see for yourself why Harbert is the name you should trust for your roofing needs. Some north state businesses stand to profit from the storm-caused disasters plaguing area homes, property and businesses. Winds, rain and floodwaters have been a boon to some north state businesses, including roofers, septic tank pumpers and swimming pool service companies. 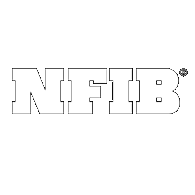 Insurance and financing companies also share some of the spoils while providing assistance to home and business owners. "Harbert Roofing Inc. in Palo Cedro has been honored for its work on the Redding Library by Professional Roofing Magazine its April issue. The issue features articles on "green roofing." Harbert installed several different types of roof systems on the library, including a metal roof, a single-ply roof and a green roof." Harbert Roofing, Inc. of Palo Cedro was awarded two important contracts in March, a spokesperson for the company reported. Marcy McKee said in April that Harbert recently finished the roof on the In-N-Out Burger on Dana Drive, and has begun the work on the Redding Civic Center building. The company will also be installing the roof on an addition to a Costco store in Medford, Ore. They also installed the roof on the new Office Depot store in Redding. Harbert Roofing, Inc. is located at 10274 Maddelein Lane, Palo Cedro. For information call 223-3251. Harbert Roofing Inc. of Redding received a 1999 Alliance Award from Stevens Roofing System. 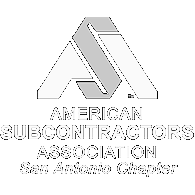 There were 76 single-ply contractors honored in the United States. 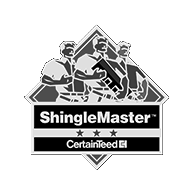 The award was recognized in the September issue of the National Roofing Contractors Association magazine and the October issue of Roofing and Building Insulation Contractors Guide. Harbert Roofing's current projects include the new Home Depot in Redding and the Redding Civic Center. Seth Runnings and John Probst of Palo Cedro, Calif.-based Harbert Roofing work Friday on the new roof at Medford City Hall. The $88,350 project is intended to stop leaks that have formed in the roof the past several winters. The project is a part of an overall renovation of City Hall beginning this year, which will include expanding the Medford Police Department. It is the first major renovation of City Hall since it was constructed 30 years ago. Harbert Roofing Inc. of Redding has scored Varsity letters for the third straight year in the GenFlex Roofing Systems Varsity Contractor Program. 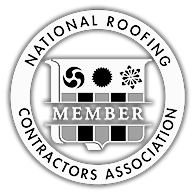 The program recognizes the nation's top roofing contractors for their professionalism, commitment to excellence and performance. There were 129 contractors recognized - only two from California. Harbert did the roof for Redding's new Civic Center and The Home Depot in Redding. Harbert Roofing Inc. of Palo Cedro has earned a "Straight A" status from GenFlex Roofing Systems for its work on four different projects. The company was recognized for its work on Tehama County Juvenile Hall and Lassen Medical Center in Red Bluff, a U.S. Forest Service building in Redding and the Grainger building in Reno. Harbert officials said Straight A status is achieved by having the highest quality of workmanship with no mistakes when inspections are made by GenFlex Roofing Systems. Harbert has been in business for 24 years and is family owned and operated. For more information, call 223-3251. Harbert Roofing of Redding was listed as the No. 100 roofing contractor in the country for volume sales by the trade publication RSI. Among Harbert's recently completed projects are the Sierra Nevada Brewery in Chico, Waremart in Yuba City and the Cloverdale Payless. Harbert also does residential roofing jobs and offers sheet metal, seamless gutters and custom downspouts. Four employees of Harbert Roofing of Palo Cedro recently attended the Western States Roofing Conference in Las Vegas. Sue Harbert, Howard Harbert Sr., Howard Harbert Jr., and Mark Larramendy attended seminars for two days on new roofing equipment, manufacturers, and products. The Corning Veterans Memorial Hall roof is in the process of being replaced. Last week employees of Harbert Roofing Inc. and Cerami and Browning Construction worked on the roof. Corning's veterans will soon have a new roof over their heads. One that doesn't leak. Work on a new roof for the Corning Veterans Memorial Hall located at 1620 Solano St. began Sept. 30 and is expected to be completed by Friday. Water leaked into the hall during severe storms in the winter of 1995, demonstrating a new roof was badly needed." "Everybody is really relieved and just thankful. They were so worried...about having a real bad rain." said Wanda Wiseman, clerk of the Veterans Memorial Hall house committee. "Harbert Roofing Inc. is celebrating its 20th anniversary in Shasta County. 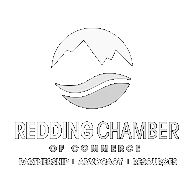 The Redding company was established as a sole proprietorship. After incorporating in 1994, Harbert Roofing has remained family operated. 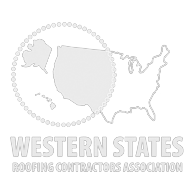 Recently, the Harbert staff members attended the Western States Roofing Contractors Association convention. Harbert Roofing Inc. of Palo Cedro was recently ranked among the top 100 roofing contractors of 1997 by RSI Magazine. Harbert climbed five spots to 95 after being ranked 100 last year. The ranking is determined by annual volume, largest job, number of employees and average square footage, according to Marcy McKee, a Harbert spokeswoman. Harbert Roofing is an applicator of single-ply, built-up, composition, metal and wood shingle roofs. The company also installs gutters and downspouts, McKee said. "Howard G. Harbert, owner of Harbert Roofing Inc. in Redding, attended the annual GenFlex Roofing Systems "Varsity Contractor Retreat" last month in Orlando, Fla.
Harbert attended an awards ceremony where his company was honored for Varsity status, which is achieved by contractors for their professionalism, commitment to excellence and performance. Harbert is one of only five contractors in California to receive this honor." "Harbert Roofing Inc. of Palo Cedro has expanded its services. 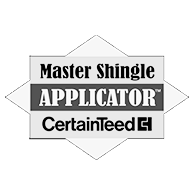 The company was recently approved as an applicator of Carlisle Syntec Inc. single-ply roofing. Harbert will be installing Carlisle single-ply to the new Office Depot in Redding. For more information, call 223-3251." "Harbert Roofing Inc. in Redding has scored Varsity letters in the GenFlex Roofing Systems Varsity Contractor Program. 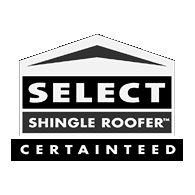 The program recognizes the nation's top roofing contractors for professionalism, commitment to excellence and high-quality performance. Harbert achieved its standing by accumulating points for the number and size of qualifying jobs completed. Qualifying jobs must meet established quality and quantity standards set by GenFlex." Harbert Roofing in Redding is celebrating its 30th year in business. The business was established in October 1980. It specializes in residential and commercial roofing jobs in Shasta and surrounding counties. Today, Harbert is a full-service roofing company. Composition, tile and metal roofing products are some of the materials the company specializes in. 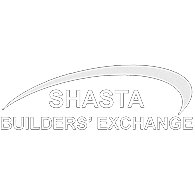 Harbert Roofing also supports programs such as Golden Umbrella, events such as Kool April Nites, and organizations such as the Shasta Builders Exchange.  The business is at 8865 Airport Road and can be reached at 223-3251. Harbert Roofing Inc. of Redding recently expanded its gutter division. With new machinery, it's now able to install commercial grade 7-inch seamless gutters in 22-gauge and 24-gauge colored metal as well as galvanized metal. The firm recently finished work on the new Shasta County Library and is working on several commercial projects, including Hilltop Landing and Cypress Plaza.